Mr. Mattioni was appointed President of the firm in July 2008. The focus of his practice is on corporate and other business organizations, real estate, land use and zoning, taxation and estate planning. Mr. Mattioni provides advice and counseling regarding shareholder and other ownership agreements; mergers, acquisitions and other business combinations. In addition, he has developed a substantial practice in the area of real estate (purchase, sale, or other disposition of property, and negotiation of leases, shopping center ownership and management), including zoning and land use planning and development. He has appeared before boards and commissions in applications for zoning and land use approvals in Philadelphia and the surrounding counties of Pennsylvania and Southern New Jersey. Mr. Mattioni was a panelist at the Pennsylvania Bar Association’s Annual Real Estate Institute. He represents numerous individuals and businesses in such diverse fields as insurance brokerages, retail sales, catering, equipment sales and manufacturing, sealants and gaskets, trucking, and land transportation, among others. With his education in finance and business, and an advanced law degree in taxation, Mr. Mattioni is well suited to serve the needs of business owners and operators. Mr. Mattioni has handled successfully substantial transactions. The following is a small sampling of projects he has successfully handled for a wide range of clients. • Obtained approvals for conversion of a 300,000 square foot industrial building into 320 residential units with 24 rooftop townhomes and commercial space on the ground floor. • Obtained approvals for two office buildings, totaling more than 300,000 square feet of office space in Conshohocken, as part of the continued redevelopment of Conshohocken, changing from an industrial town into a commercial office center. • Obtained approvals for a mixed use hotel and office development in Conshohocken; upon appeal of grant of variances by neighboring landowner obtained bond requirement for the neighboring landowner to continue appeal, which neighboring landowner defaulted on resulting in dismissal of the appeal. • Represented developer of a 313 townhome development in Philadelphia; obtained zoning map change and all approvals for the development. • Obtained zoning map change and all approvals, including lease of submerged lands from the Commonwealth of Pennsylvania, for a 32 story mixed use, residential and commercial development on the Philadelphia waterfront. • Represented purchaser of marina in Cape May, New Jersey. • Represented the seller of a psychiatric hospital and real estate upon which it was located, including obtaining all approvals necessary for the transaction. • Represented the purchaser of a home healthcare agency. • Represented the seller of a marine lubrication and related business including obtaining all governmental approvals unnecessary to complete the transaction. • Represented the seller of a specialty and reinforced engineering thermoplastic compound company including obtaining an exemption from the New Jersey Industrial Site Recovery Act. • Represented the seller of a medical consulting firm. Mr. Mattioni has been a speaker at numerous seminars regarding zoning and land use issues including most recently the Pennsylvania Bar Institute’s seminar entitled “What Pennsylvania Lawyers Need to Know about New Jersey Real Estate Law”. Mr. Mattioni served as moderator and presenter and also provided guidance as the Course Planner for this event. He also is involved in numerous community activities, serving as Solicitor for the Associazione Regionale Calabrese, Solicitor for the Americans of Italian Heritage Council, and as trustee for the Green Lane United Methodist Church. Mr. Mattioni served two years, 2010-2012, as the Chair of the Old City District, a business improvement district organization charged with maintaining cleanliness and safety in the Old City section of Philadelphia. Mr. Mattioni served as Chancellor of the Board of Governors of the Justinian Society from 2014 to 2016. He was a member of the Plymouth Township, Montgomery County Planning Agency from 2015 to 2016. He served on the Plymouth Township Zoning Hearing Board from 2010 to 2014 and was reappointed to the Plymouth Township Zoning Hearing Board in 2017 for a five year term. He presently serves as Chair of the Plymouth Township Zoning Hearing Board. 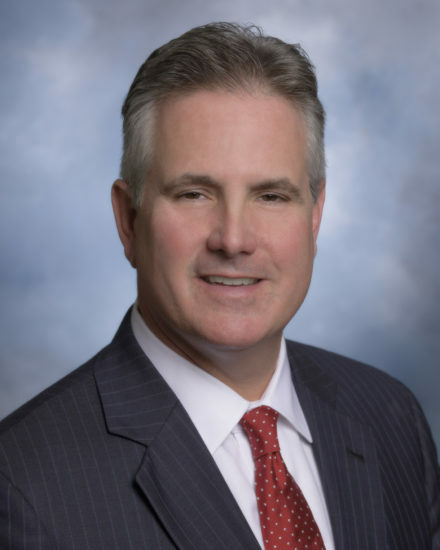 Michael is peer reviewed, AV® Preeminent™ Rated by Martindale-Hubbell and was selected as a Super Lawyer from 2013 to 2019. University of Pittsburgh School of Law, 1989, J.D.